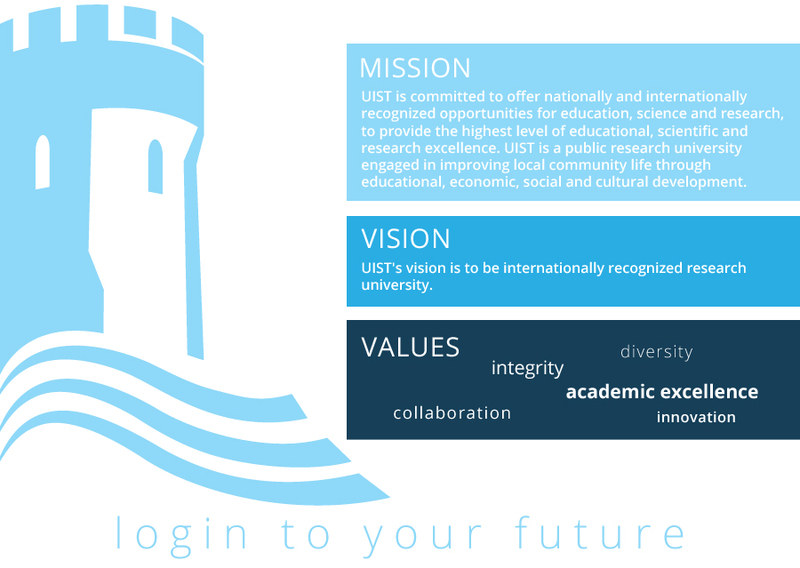 Mission, Vision & Values - University of Information Science & Technology "St. Paul the Aposle"
The University of Information Science and Technology “St. Paul the Apostle” is a higher education institution, leader in the quality of academic programs and research projects in the information science and technology. UIST is universally recognized for the quality of its education and the scientific experiences for the students, internationally distinguished professors and researchers.